Any organization that aids others. A man who never knew a stranger, Thomas (Tom) Grubb, was always quick with a smile, kind to others, and quick to befriend those he met. Loving, selfless, and good-hearted, he enjoyed picking up hitchhikers, supporting the underdog, and helping his family and friends. He also trusted that others possessed similar traits each time he left the keys to his service van on the dash as he went to lunch…until he was cited for encouraging auto theft! 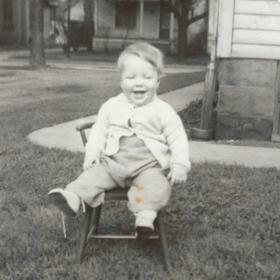 Born in Kendallville, Indiana, on June 5, 1943, Tom was the youngest son of Paul and Talitha (Bowen) Grubb. 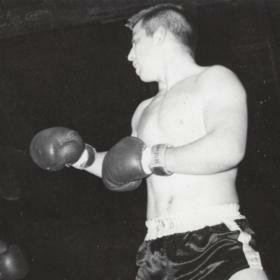 He loved football, cars, and Golden Gloves boxing.  Tom met the love of his life, Dinah, while attending Kendallville High School. Upon graduation, he married and worked in road construction and as a carpenter and water treatment chemical salesman before beginning his own mechanical contracting business of 30+ years. Tom greatly enjoyed the many friendships he formed with his co-workers; especially the folks at Stryker. Shortly after graduation, the Grubb family moved to eastern Tennessee, where he began raising beagles and developed a life-long love for the Smoky Mountains. 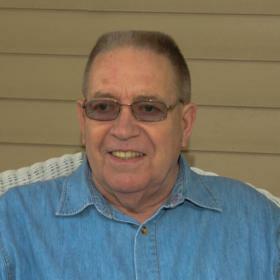 The Grubb family moved back north to Galesburg, Michigan, in 1971 to be closer to family. While there, he quickly became involved in the community; coaching football and participating on the chain gang. Tom enjoyed many trips with family and friends to various locations. Favorite destinations included Mexico, the San Francisco region, Lake Tahoe, Las Vegas, and many locales for various car shows and races. He also frequently returned to his beloved Smoky Mountains. Additionally, Tom enjoyed organizing numerous “guy” trips to the Las Vegas NASCAR races; true to form, much laughter and many beers were shared by all. 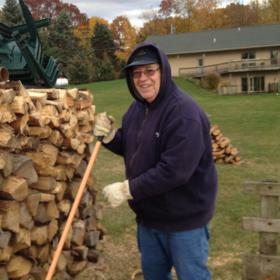 Skilled with his hands and able to build or fix just about anything, Tom, along with family and friends, refinished or built several houses and barns, and a swimming pool. He was also always on the lookout for hidden gems from the discards of others. Frequently when he cleaned out the garage, he hauled away one load of junk only to return home with two “loads of treasure” and fixed it all; well, at least some. A lover of cars since his youth, Tom frequented many street rod shows, drag races, and Indy and NASCAR events with family and friends. 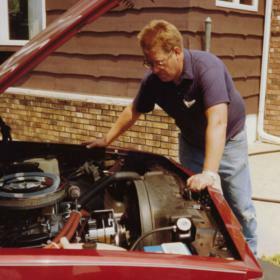 Tom especially loved working on his “Awsom78” Elky, a 1978 Chevy El Camino he drove for 110,000 miles as a service vehicle before rebuilding it into a street rod featured in Super Chevy magazine in 1998. He also enjoyed his rodded-out 1927 Essex; until he blew a hole through his shorts one evening while doing hole shots with his fellow car enthusiasts. Perhaps a set of wheelie bars would have been a good idea!? The Essex was sold soon afterwards. While Tom always enjoyed an ice-cold Miller High Life, he also delighted in home-made wine making, even starting his own label, Grubby’s Winery. While his earliest attempts may have been best when fortified with vodka, he later became a skilled maker of both locally and internationally recognized wine, mead, and hard cider. No fruits…or Red Hots…were safe from his experimentation and he loved sharing his creations with family and friends. Tom’s favorite holiday gathering was always July 4th. A true “pyro”, he absolutely loved to gather his friends and family to shoot off the seemingly endless supply of fireworks he had gathered over the past year. Although, one did have to remind him to separate the supply trailer from the launch area and to keep a garden hose handy…frequently. He also enjoyed his home-made air cannon; especially when he realized how far it shot a tennis ball…across the parking lot of Dinah’s workplace…and the busy Michigan highway nearby! Tom Grubb, aged 74, died on Tuesday, January 2, 2018, at Reflections Hospice Residence in Battle Creek; his wife lovingly at his side. He was preceded in death by three siblings: Alice Robart, Sarah Klees, and Carson Grubb. Surviving are his wife of 56 years, Dinah Grubb; two sons: Gregg (Dawn) Grubb and Todd (Kira) Grubb; six grandchildren: Chelsey (Sean Pecinovsky), Austin (Courtney Foreman), and Thomas Grubb, and Sydney, Grant, and Devin Gardella; and many nieces and nephews. Cremation has taken place. Celebrate Tom's life with family and friends while sharing food and drinks on Monday, January 8th, from 2-5 PM at the Betzler Life Story Funeral Home, 6080 Stadium Drive, Kalamazoo, (269) 375-2900. 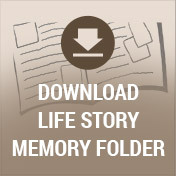 Please visit Tom's personal memory page at www.BetzlerFuneralHome.com, where you can read his story, archive a favorite memory or photo, and sign his online guestbook before coming to the funeral home. In lieu of flowers, memorial contributions may be made to the Alzheimer's Foundation of America, American Heart Association, or any organization that aids others.